At A&M-Commerce, your success is our business. That includes making higher-education opportunities available to those who, because of work and/or family obligations, find it difficult to access courses that are offered on scheduled days and times. Learn more about our degree programs offered, how to enroll, course listings, online student support by following the links on the left hand navigation. A&M-Commerce is authorized to offer online degree programs and courses in designated states. As a participant in the National Council for State Authorization Reciprocity Agreements (NC-SARA), A&M-Commerce may admit out-of-state students who live in states that are members of NC-SARA. NC-SARA member states and participating institutions are listed on the NC-SARA website. Prospective and current students interested in courses, programs, certificates, or degrees that lead to professional licensure must understand their state licensing board’s requirements prior to enrolling. Depending on the status of your state of residence with regard to NC-SARA, A&M-Commerce may notify you that you are not eligible to register for a Texas A&M University-Commerce distance learning degree program or course. A&M-Commerce has been approved by Texas to participate in the National Council for State Authorization Reciprocity Agreements. NC-SARA is a voluntary, regional approach to state oversight of postsecondary distance education. To learn more about SARA and the programs A&M-Commerce offers, go to the NC-SARA website. An individual who has been convicted of an offense may be ineligible for issuance of an occupational license. Licensing authorities must establish and make available guidelines explaining why a particular offense is considered a basis for ineligibility for a particular license and other criterion that may affect the decision to grant or withhold a license. A list of current state licensing authorities related to educational programs offered can be found online. Click here for more information. Local or county licensing authorities may establish additional guidelines related to criminal history. Applicants should contact their local or county licensing authority for more information. An individual has the right to request a criminal history evaluation letter regarding their eligibility for license issued under Texas Occupations code 53.102. Questions related to eligibility requirements should be directed to the individual licensing authorities. In an online course, the student accepts responsibility for learning outcomes. The instructor's role is that of a facilitator and guide. Rather than face-to-face lectures, the instructor will provide information through online course materials and learning activities that are accessed through the Internet. Presentation of course materials will vary according to instructor design. The instructor will provide feedback and evaluation as the student completes weekly class sessions.An online course uses a computer and the Internet to deliver lessons and for interaction between the instructor and the student and the student to other students. For students who are unable to attend classes on the A&M-Commerce campus because of distance or time conflicts, online classes allow flexibility of time and place while the objectives and content of the courses are the same as those offered in the traditional classroom setting. There are several important sources of information in addition to the instructor. Books and printed materials, as well as web-based resources, will be important. Another important source will be other students enrolled in the course. Online learning emphasizes process. That is, online learning involves more than the accumulation and memorization of information. In online courses, high levels of collaboration and interactivity are required to seek, evaluate, and process the almost limitless amount of available and useful information. Online courses present students with opportunities to acquire the knowledge and skills necessary in the 21st century workplace. If you have already enrolled in an online course at A&M-Commerce and need help logging in, please follow the steps below or view the tutorial video. Remember, being registered in an online course does not mean that you will have access to your course immediately. You will not be able to access your online course until the first class day of the term. 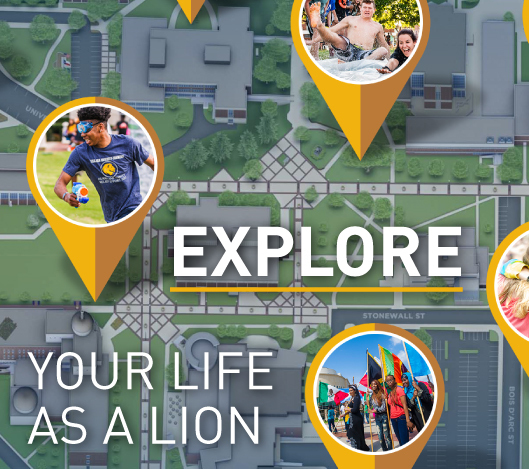 The first step is to log in to myLeo at leo.tamuc.edu. Once inside the myLeo Portal, click the "Access Online Courses" icon in the LaunchPad in the top, left-hand area of the page. Next, click the "My Courses" tab at the top left. Click on the course you are wanting to enter. You're in! Welcome to your course homepage! If you are new to online courses, don't forget to browse around! Get to know your course syllabus, requirements, and assignments.